As you take your practice, clinic, or hospital paperless, you will be confronted with a number of questions about what to do with your existing paper charts and how exactly you go about scanning those medical charts that are the backbone of your business. Should you scan your charts? Should you scan all the charts as well everything in each one? Should you use a scanning service company, or do it in‐house? 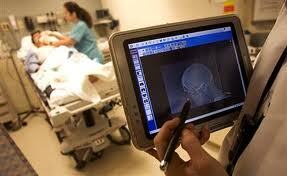 How do you use the scanned charts with your EHR? For the purposes of this article, let’s assume that the reader already understands all of your legal responsibilities relative to the retention schedule for your charts. Charts should be kept a minimum of several years after a patient’s last visit. There are only two ways to preserve the charts ‐ store the paper or scan and convert to digital charts. You can store charts on‐site or with a reputable document storage company. It is very risky to store your charts at a self‐storage facility or worse yet, in your basement. A reputable facility will have fire suppression systems and protection from water. Self‐storage facilities go up in smoke regularly (Try a Google search for “self storage and fire”). Monsoon rains that strike the DC area yearly showed the vulnerability of basement storage. There are 3 reasons why practices scan their charts. Clear the file room ‐ Clearing the file room lets you re‐purpose the space for new exam rooms. Storing paper on‐site costs money, when the space can be used by the practice to make money instead. Costs of storing on‐site include the actual rent for the floor space, and for payroll used to search and retrieve charts. If a chart is lost or misfiled, it is extremely difficult and expensive to locate. If files are stored in a document storage facility, there is a cost for storage and a cost for retrieval, as well as the cost for an employee to pick up the chart. Improved Patient Outcome ‐ The evidence is clear that EMR adoption improves patient outcomes. There are many reasons why, but giving doctors the ability to quickly review and share digital charts with other medical professionals is certainly a key reason. Once your charts are digital, they can be accessed securely and remotely via tablets or iPad, or even from your smart phone. Should you scan all the charts, and everything in each chart? 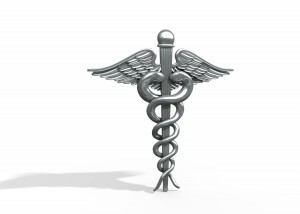 There are a variety of considerations including medical necessity, legal, and cost. If you have been properly purging charts as they become eligible for destruction, then yes, you should scan all of your charts. Your electronic charts are to be treated just like the paper charts from a retention perspective. If you have been holding on to all of your charts, then you will likely be able to purge everything outside of the retention period, and only scan the newer charts. Each practice is different, and each physician will make the determination of what is medically necessary to scan, and what can be destroyed via shredding. At minimum, all records that reflect the clinical care provided to a patient, including provider notes, nurses’ notes, testing, and medical lists should be kept. Billing records that reference care provided should also be scanned and preserved along with the rest of the medical record. Legally, you must consider what would be necessary to keep in order to properly defend yourself in a medical malpractice lawsuit. Some practices will scan the entire chart, and every scrap of paper in it, while others are quite comfortable just scanning what is absolutely legally and medical necessary. Maintaining medical records in any format will cause you to incur some cost. Scanning yourself or hiring an outside scanning service company, you will need to consider the costs of scanning. The costs are variable. For example, charts can be scanned and OCR’d (optical character recognition), meaning they can be made searchable. In many instances, it is not necessary to OCR a chart because there is no typewritten text that is worth searching. Or the chart may be so small that it is very easy to simply browse the PDF. You likely don’t need to pay for OCR. Another way to cut costs is to make sure carbon copies of labs and other forms are destroyed and not scanned. It’s an excellent question. If you are to undertake the scanning project in house, you will need a few things. Secure office space where a scanner and a computer can be set up, a 4‐6 foot table where the charts can be prepared for scanning, and 1 or more people dedicated to the project. The process is fairly simple. Charts are put through the scanner. The main issues that your scanner operator will contend with are multi‐feeds and re‐scans. A multi‐feed occurs when 2 or more sheets of paper are pulled through the scanner at one time. The scanner operator must stop and rescan those pages. If any dust or other particulates are on the scanner glass, it will cause a black streak to appear on the scanned image, and the page must be rescanned after cleaning the scanner. Quality Assurance is performed before the charts are actually converted to a PDF. There are many ways to achieve high quality, and many standards of quality. Generally, a chart will pass quality control after every page has been visually inspected for image quality, image orientation, proper cropping, and completeness of the file. Charts can now be output to PDF and the process is complete. A single banker’s box of records will typically take 3‐4 hours to process if your employee is working hard on the project. The other choice is to select a document scanning service company. No investment in your own scanning hardware, computers, or software. No internal labor costs. Costs are generally going to be lower than performing the work yourself since a scanning service company is optimized to scan very efficiently. Errors will be minimized, and any errors will be resolved with no additional cost to the practice. Scanning can be done faster since a scanning service company will have multiple large, high‐speed scanners. After scanning, you can use them with your EMR. Some practices will simply put the charts on the Windows File System so that they can be viewed when needed. Others will import some or all of the charts into the “Notes” or “History” tabs in the EMR. The most common strategy is to save the charts to the file system, and only import the chart into the EMR the next time the patient comes for an appointment. Visualize an empty file room, with no employees pulling charts, filing charts, looking for loose pages and lost charts.